New Jersey Superior Court Appellate Division Judge States Transcript From His Court Should Be There. 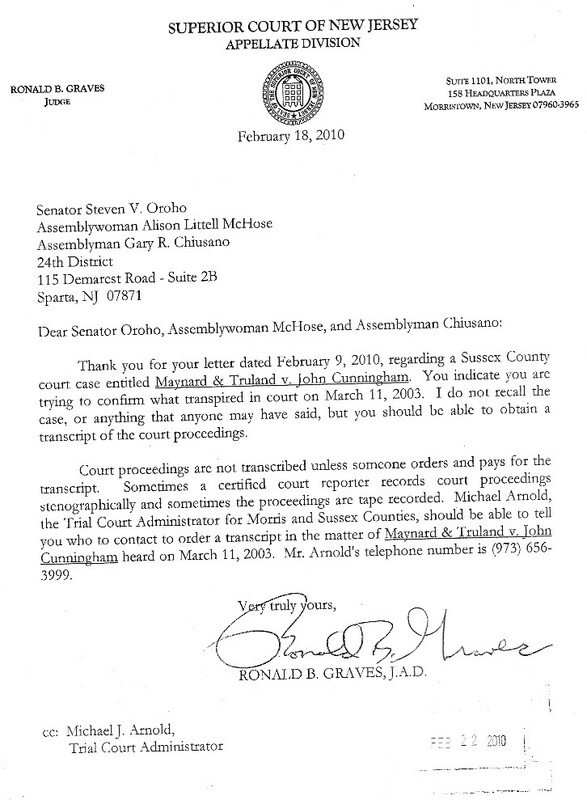 New Jersey's Supreme Court Cover-Up, to protect one of their own, continues into its 10th year. New Jersey Superior Court Appellate Division Judge Ronald Graves States Transcript From His Court Should Be There. 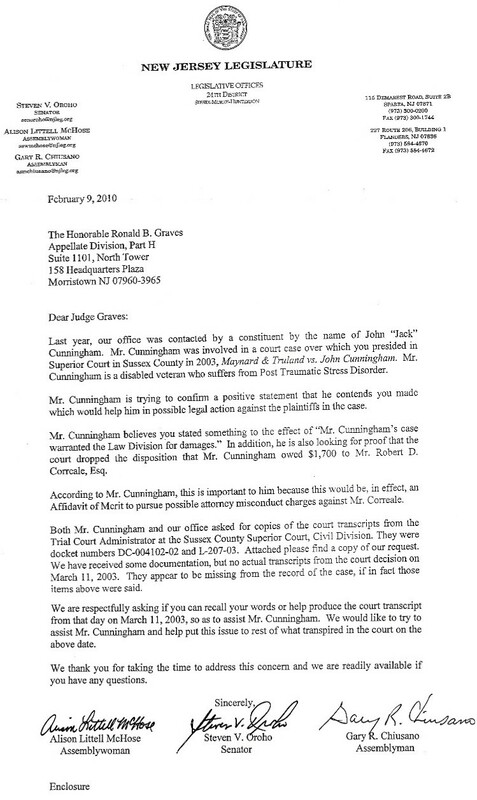 Please call (973 300-0200) and leave a message for State Senator Steven Oroho to please ask Governor Chris Christie for a formal investigation of Jack Cunningham's New Jersey State Cover-Up charges.